Even though diesels aren’t all that popular in the United States, Mazda still thinks that they’re a viable market. It just unveiled the 2019 Mazda CX-5 Signature AWD diesel today at the New York Auto Show, which is nice I suppose. 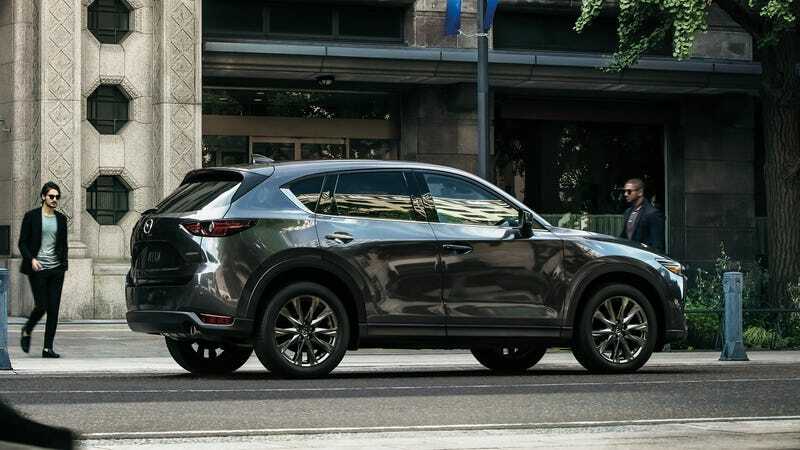 During today’s press conference, Mazda announced that a Skyactiv-D 2.2-liter diesel variant is coming in July for the CX-5 with the Signature trim and all-wheel drive. The engine will produce a claimed 168 horsepower and 290 lb-ft of torque, according to the company press release. Fuel economy figures are an estimated 27 mpg in the city, 30 on the highway and 28 combined. The diesel CX-5 will be marketed as a premium feature because it allegedly offers more range at its trim level and improved towing capacity. There’s no way that Mazda will sell many of these things, even if it is for the supposed “enthusiasts who need low end torque or longer range driving.” Yet, the automaker cited diesel growth in the Japanese market as the main push for production. Even though the car was revealed at the end of 2016, it took this long for it to finally come to market because there was a “dialogue with the California Air Resources Board”to make sure that the engine was up to standard. Given the, uh, history of diesel engines in this country and elsewhere, this was probably a very important sign-off to get. The CX-5 diesel will cost $41,000 and comes in four colors: black, white, red and gray. Pre-orders are being taken now.